Can you lose weight by snacking? Yes, if you know what to eat and how much to eat. Many believe that constant grazing cannot help you lose weight, which is true. Especially since most of us are not aware of healthy snacking options. Plus, who cares about the calories when you are hungry? And this is precisely why I am writing about the 30 best healthy snacks for weight loss. 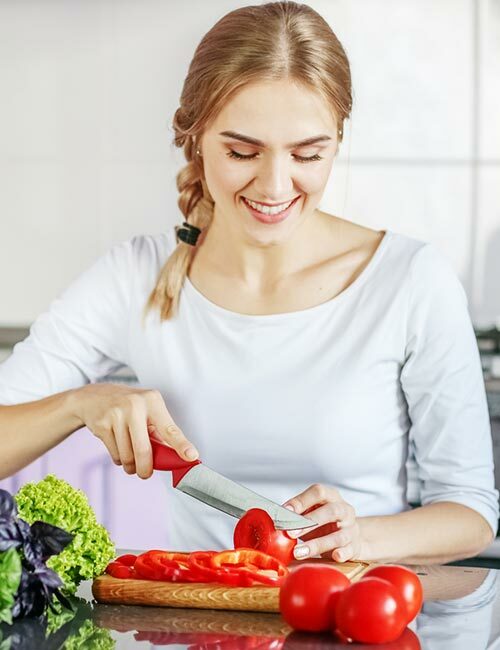 These foods are low in calories and high in nutrition and will keep you satiated and active, boost metabolism, and prevent you from overeating when you have your lunch or dinner. Scroll down; delicious guilt-free snacks await you! So, you had a filling and nutritious breakfast before heading out. But right after an hour or two, you start feeling a little hungry. And because of the limited choices, you end up consuming foods that don’t go with your weight loss plan. Here are a few snack ideas for the post-breakfast puppy hunger. Fresh fruit juice is so refreshing and energizing. Packed with vitamins, minerals, and dietary fiber, it is my first go-to healthy snack. You can buy it from a local juicer or order it online. You can also prepare it at home using different fruits or veggies. Make sure you drink it right after you make it. You can order juices or store fresh cold-pressed juice to take to work or school. Fruits that have low to medium glycemic index make a great snack. For example, a small fruit bowl containing apple, muskmelon, and watermelon. The combination looks good, is nutritious, and tastes amazing. 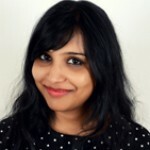 You can also dress your fruit bowl with a dash of lime juice and sprinkle a bit of pink Himalayan salt, black pepper, and chaat masala on it. YUM! One or two hours after breakfast, if you start feeling hungry and do not want to load up on calories and sugar, try green tea. It has zero calories and is a great source of antioxidants. Green tea helps to flush out toxins, suppresses your appetite, and prevents microbial infections. Use pure green tea leaves instead of the flavored ones as the latter often contain added sugar or artificial sweeteners, which you should avoid. You can add 4-5 drops of lime juice or Ceylon cinnamon powder or ginger to enhance the flavor and aroma of your green tea. Homemade ricotta cheese is a healthy and nourishing snack. The best part is, it’s easy to make and can be stored in an airtight container to take to office or school. Pour 500 mL of full-fat milk (yes, full-fat dairy is what you need to lose weight, not the slim one) into an aluminum saucepan. Boil for 5 minutes. Remove from the flame and add the juice of half a lime. The milk will curdle and separate and float on the surface, leaving the whey (greenish liquid) underneath. Strain the milk solids out and transfer it to a bowl or an airtight container. Add 2 teaspoons of sunflower seeds and ¼ teaspoon of brown sugar. Mix well, and you are all set! 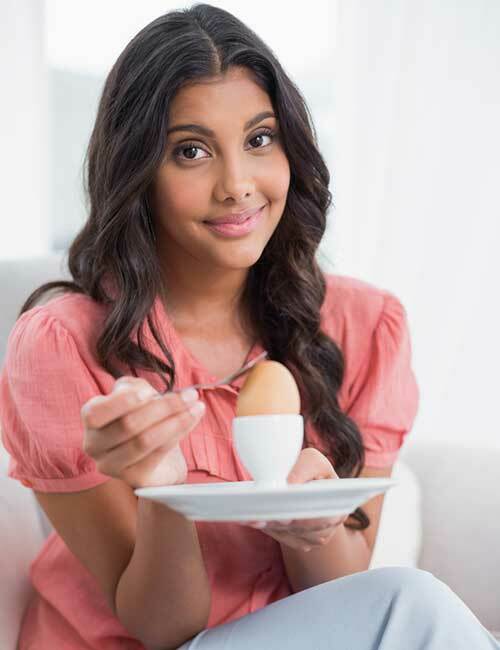 Eggs are a great source of protein and both water and fat-soluble vitamins. The yolk is a little higher in cholesterol content, but it is way less than the other junk foods that you snack on. Moreover, you can have two full whole eggs per day. So, if you are hungry and want a delicious protein-rich snack to keep you satiated for at least another hour, eat a whole egg. You can either have it as it is or sprinkle a little salt, black pepper, and chili flakes. It is portable and has a higher shelf life. The tangy moong sprout salad is not only delicious but is also a great way to curb your hunger and cravings for a spicy-tangy mix of flavor. I swear, it will lift your mood right after the first bite. All you have to do is soak moong sprouts in a bowl of water overnight. Chop half a small onion and half a medium tomato and add to a small deseeded green chili, 2 tablespoons of chopped cucumber, ¼ teaspoon of salt, ½ teaspoon of cumin powder, and a lot of lime juice. Mix well and garnish with chopped cilantro. Transfer it to a small airtight container, and your portable, healthy homemade snack is ready. Pineapple has a higher glycemic index, but it also has a lot of vitamins and minerals that you will not get from any other fruit. Though its color and refreshing smell have an appetizing appeal, the fruit can make you feel full for a long duration. 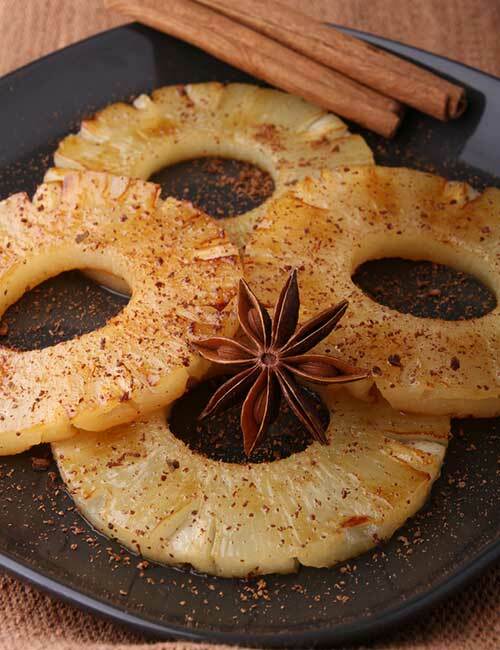 Chop up the pineapple slices, add a dash of lime or orange juice, freshly ground black pepper, a teaspoon of honey, and pink Himalayan salt. Toss well, and it’s ready to be eaten. 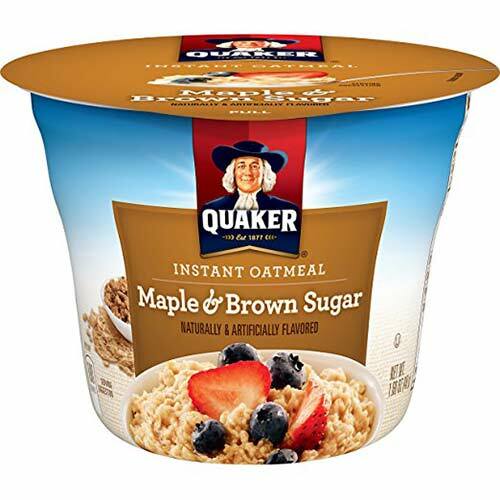 Whether you are traveling, working, studying, or just do not find the time to have a quick breakfast, instant oatmeal cups are a convenient option. It is best to have this as a small meal between the bigger meals to keep yourself full until the next meal time. High in fiber, zero cholesterol, plus it aids weight loss. What else can you ask for? 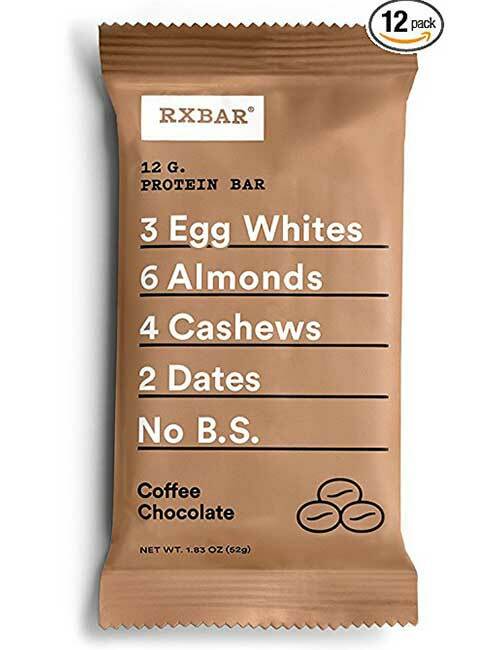 This is a whole food protein bar that contains egg whites, dates, nuts, and other natural ingredients like blueberry and cacao. Satiate your taste buds and have a great time enjoying a protein bar that is as good as a chocolate bar. Crunchy, watery, and fresh-smelling cucumber slices can add zing to your post-breakfast snack time. The water in the cucumbers helps rehydrate the cells, quenches your thirst, and soothes the digestive system. Slice the cucumbers. Dab off the excess water with a kitchen towel and transfer them to an airtight container. If you want, you can add a slice of lime and half a teaspoon of black salt later when you want to snack. Quinoa crisps are God’s gift for those who want to lose weight. They are crispy, crunchy, low-cal, a little sweet, flavorful, and highly nutritious. They are loaded with dietary fiber, vitamins, minerals, and protein. You can have 2-3 quinoa crisps. Avoid consuming the whole pack in one go. Homemade lettuce wraps are simple, quick, and easily portable. All you have to do is lay down two lettuce leaves on a flat surface. Sprinkle a pinch of salt and pepper. Add tomato slices, cucumber slices, canned tuna/ sauteed mushrooms, a teaspoon of dijon mustard, olive oil, and a little more salt and pepper. Wrap it up and take a bite. Or just take it to work or school. Another great way to satiate your hunger is to have tomato slices. Buy fresh and ripe tomatoes from the market. Wash a medium-sized tomato, and cut it into round slices. Sprinkle a little salt and lime juice, and your snack is ready. It tastes good, is portable, and quickly satiates your hunger. This open sandwich might look like it is loaded with calories and not good for weight loss. But let me tell you, not all fats and carbs are bad. Healthy fats like avocado help reduce inflammation, thereby preventing inflammation-induced weight gain. And good carbs from whole wheat bread, veggies, and fruits keep you satiated and cleanse the colon, leading to better digestion and metabolism. To make this open sandwich, you need one slice of whole wheat bread, ½ California avocado, 2 teaspoons of ricotta cheese, and a pinch of salt. Slice up the avocado and lay the slices on the bread. Top it with ricotta cheese and sprinkle a little salt. And you are all set to snack on one of the most filling and healthy homemade snacks. These are the 14 post-breakfast snack ideas. Now, let us look at a few post-lunch healthy snacks. A sip of spiced buttermilk will curb all your sweet cravings. Buttermilk contains probiotics or good gut bacteria that aid digestion. You can buy spiced buttermilk from the supermarket. It is low in calories as well as fat content. The calcium is good for strengthening your bones. Toss a pack into your bag and have it later in the day. This will prevent you from gorging on unhealthy junk food just before your evening break. This is basically a small bowl of yogurt salad made with full-fat yogurt, cucumber, and tomato slices, and seasoned with pink Himalayan salt, a pinch of cayenne pepper, and cumin powder. You can make it quickly in the morning before heading out or at night and store it in an airtight container in the fridge. Take it to work or school the next morning. Make sure you store it in a cool place and mix well before taking a bite. 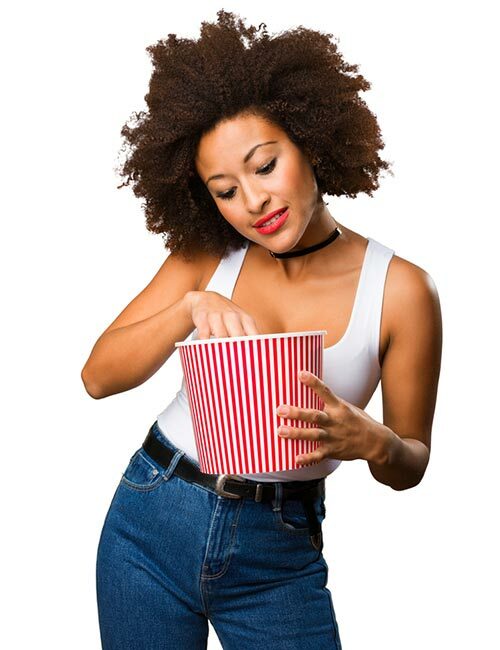 Popcorn is a personal favorite low-cal post-lunch snack. You can either buy a pack of unsalted popcorn or just pop a few corns in the microwave or pressure cooker. 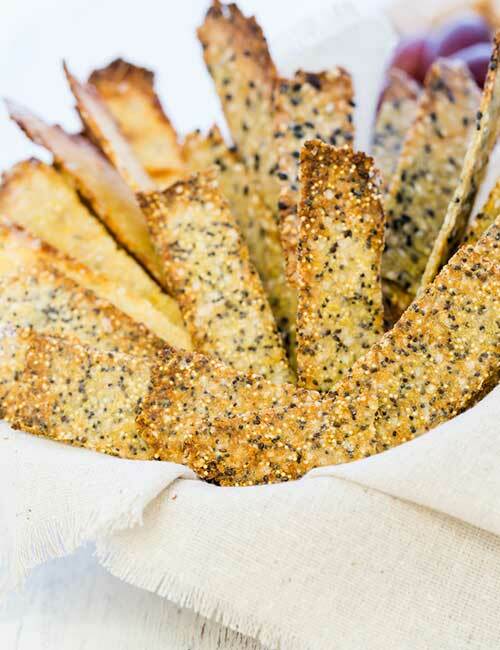 The crunchy and savory snack goes best with green tea or black coffee. Pistachios are great for weight loss. You can have 25 unsalted in-shell pistachios to curb your hunger. They are loaded with healthy fats, no cholesterol, and a good source of vitamin B-6, vitamin A, dietary fiber, potassium, iron, magnesium, and calcium. I recommend consuming in-shell pistachios because the process of removing the shell will slow down your consumption rate, thereby helping you avoid overeating the nuts. Chia seeds are rich in protein, healthy fats, and good carbs. You can make chia seed pudding during the weekend and store it in an airtight container in the fridge. Take a few spoons out in a box and take it to your office or school to have as a post-lunch snack. Making it is super easy. 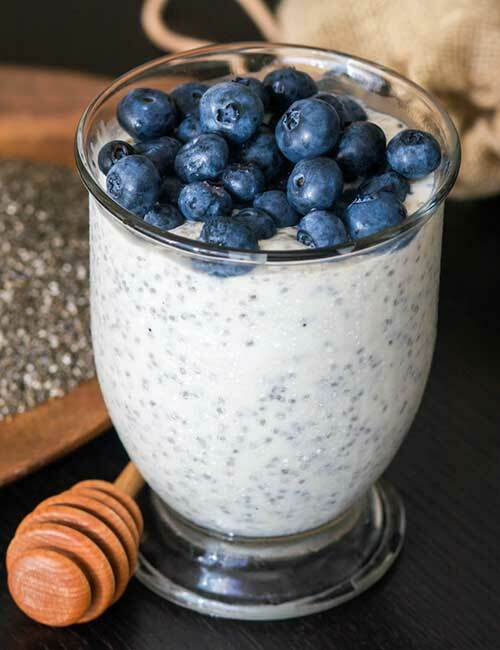 All you need are 2 cups of homemade coconut milk, ½ cup of chia seeds, a few blueberries or strawberries, ½ teaspoon of vanilla extract, ¼ cup of maple syrup, and ¼ teaspoon of cinnamon powder or nutmeg powder. Blend all the ingredients except for the chia seeds. Add the chia seeds and mix well and let it set in the fridge for at least 4 hours. Add some coconut flakes, berries, and it is ready! It’s known that kale is good for health. But what if you do not like it? You can make it appetizing by transforming it into yummy chips. They are low in calories, have zero cholesterol, and loaded with potassium, iron, vitamin A, and vitamin C.
To prepare it, you need 1 cup of kale, 1 tablespoon of olive oil, and salt to taste. Preheat the oven and line a cookie tray with parchment paper. Remove the stems from the kale leaves and chop them into bite-sized pieces. Drizzle with olive oil, sprinkle salt, and bake for 10-15 minutes till the edges of the leaves turn brown. Sweet potatoes with the skin on are delicious, and what can be better than having a well-made and well-seasoned baked sweet potato as a snack? Wash and slice a medium sweet potato, season with salt, black pepper, and oregano. Preheat the oven and line the baking tray with parchment paper. 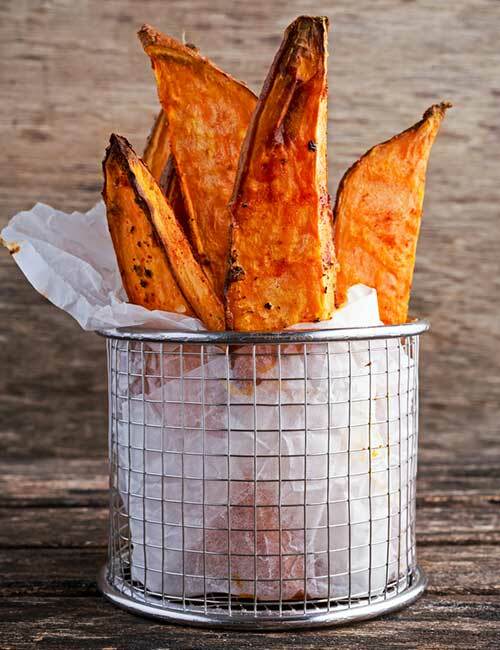 Drizzle olive oil on the seasoned sweet potatoes and give them a toss. Transfer them to the baking tray and shake it to spread the potatoes out evenly. Bake for 20-30 minutes till they become soft and cooked. Let them cool down a bit. You can either pack them to take to your office or school or have them right away. Herbal teas are made of fresh or dried leaves, flowers, roots, etc. They are caffeine-free, low in calories, and good sources of vitamins and minerals. 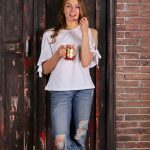 Moreover, the flavor and smell of the teas help suppress appetite and wake up the senses, thereby increasing your productivity. Buy pure herbal tea bags available in the market or brew your own by adding ginger, mint, and rose petals to a cup of boiling water. You can add honey and lemon to give it an extra punch of good flavor. Dark salted almonds are not too sweet but hit the perfect notes on your tongue and heart. Per nine pieces, they contain 170 calories, zero cholesterol, and 3 grams of dietary fiber. The best part is, they don’t contain any added sugar. Keep 9 dark salted almonds in a small container and take it to your work or school for the perfect post-lunch snack. 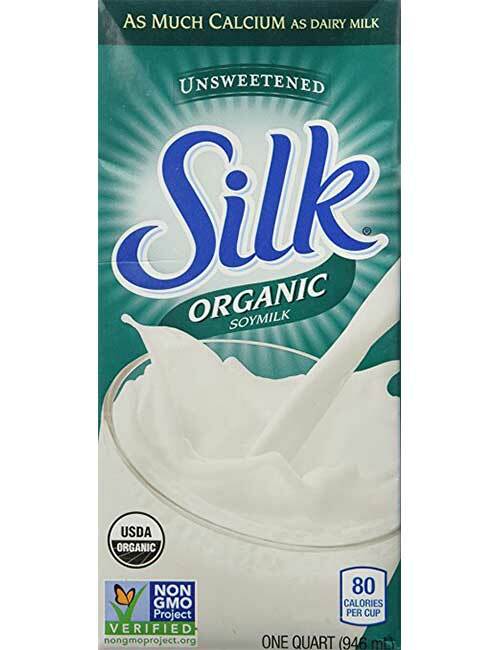 Soy milk is made from soybeans and is a great protein source for vegans and vegetarians. This plant-based drink is low in calories and is loaded with vitamins A, D, B12, and folate, and calcium, zinc, iron, and potassium. 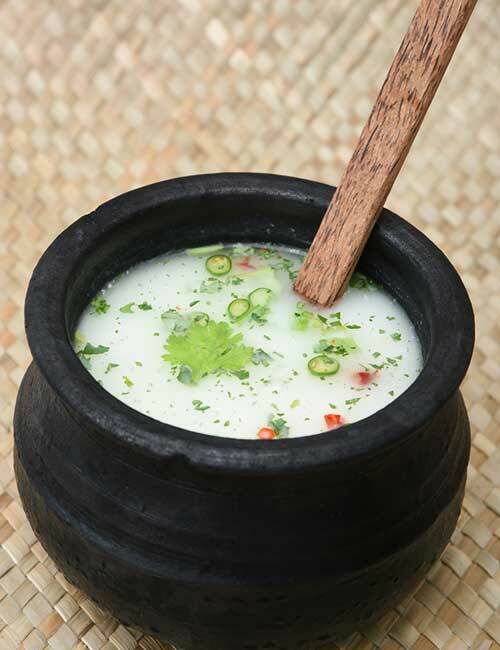 Get a pack of low-calorie soy milk and sip it when you feel hungry after lunch. These chickpeas are crunchy, savory, delicious, and nutritious. Make sure not to overeat them. Eat slow and drink a cup of water before snacking on these so that you don’t overeat. Instead of snacking on the entire pack at one go, take a quarter of a cup out into a small airtight container and take it to your work or school. Avoid snacking directly from the pack. Pumpkin seeds are a great source of iron, protein, healthy fats, and dietary fiber. They are oval, flat, and green. 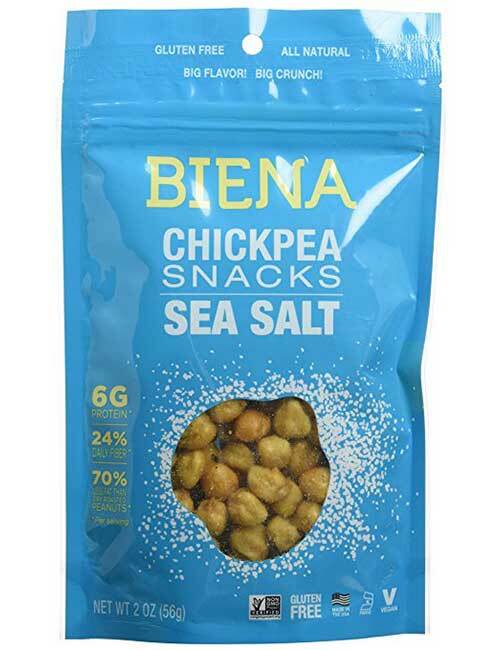 They have a nutty taste and can hence be spiced up to make a great snack. All you have to do is buy a pack of roasted pumpkin seeds. Or you can even make your own at home during the weekend. Take ¼ cup of pumpkin seeds, sprinkle sea salt, lime juice, and a drop of chili oil and mix well. If possible, keep it in the sun for 2 hours to enhance the flavor. Celery is a negative calorie food. Meaning, to digest it and metabolize it, your body uses more fuel (glucose/protein/fat) than the number of calories the body gets from it. So, it’s great news! You can have celery without worrying about not consuming too much of it. Have celery stalks with vinegar and seasoning. You can also have it with sour cream. 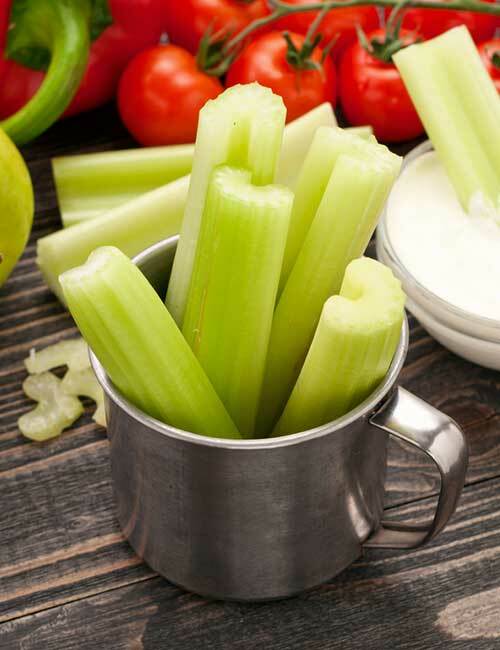 Take a celery stalk and cut it into big pieces. Season with salt and pepper. Take ¼ cup of sour cream and add ¼ teaspoon of chili flakes. Mix well. Dip the celery stalk into the sour cream and have it. Baby carrot and hummus is a great combination and one of the best snacks. Baby carrots are easily available in the supermarket. You can also grow your own or even slice up carrots and have with hummus. They are a great source of vitamins and minerals. Hummus is mainly made with garbanzo beans, which are loaded with protein and good carbs. Pack the baby carrots and hummus in a container and take it wherever you go. This is a crunchy and tasty snack. You can cut back on the wheat crisps and have the dip to avoid consuming too many calories. Wheat crackers are easily available in the market, and all you have to do is make a nice dip. 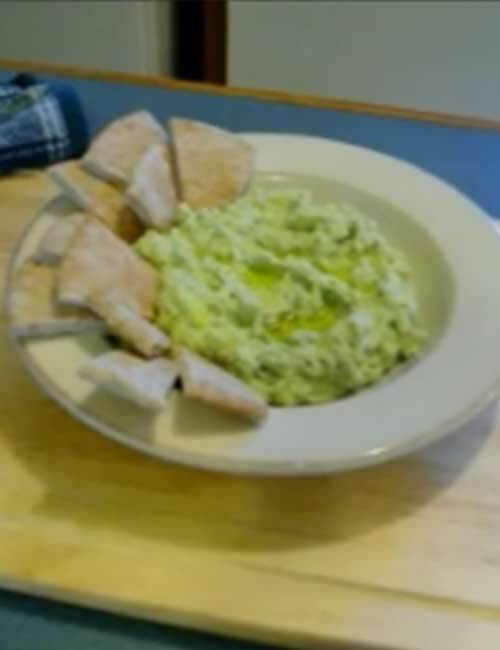 To make edamame dip, blend a cup of edamame with 2 cloves of garlic, 1 teaspoon of lime juice, 1 teaspoon of olive oil, salt, and pepper. These post-lunch snack ideas are great for curbing your hunger and keeping you satiated until dinner. Avoid snacking at all costs and go to bed after 2-3 hours of having dinner. This will help digest the food and prevent fat accumulation. However, if you must snack, have this following sleep-inducing food. If you want to lose weight, you should avoid snacking late at night. But this is quite tough to do because we like to unwind at night. And how can that be possible without a little something on the side? The best idea is to get yourself something that you can sip on slowly. Here’s a “snack” that you can have post-dinner. 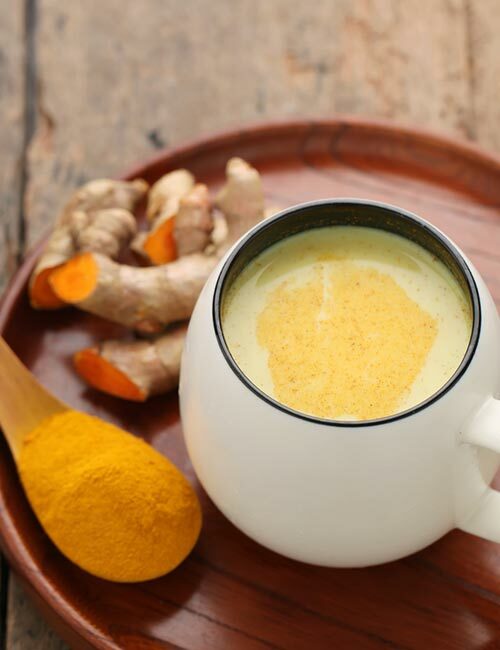 Warm milk has a sleep-inducing effect, and adding turmeric to it will give an antioxidant boost to your body. This helps flush the toxins out and strengthens your immunity. All you have to do is bring a cup of milk to a boil and let it cool down for about 5 minutes. Add a pinch of organic turmeric powder and stir well. Sip it as you unwind or finish your day’s work. These are the 30 quick and easy snack ideas that will keep you on track with your weight loss goals. You must adhere to the portion sizes mentioned to avoid overeating. Take a break, have a snack, and lose weight just like that. Cheers!